Inaccuracies in HMRC’s records mean that 3.5 million employees now owe more tax through PAYE. Around 5.5 million taxpayers have paid the wrong amount of tax in 2013-14 and will soon be receiving a letter from HMRC. The Tax Office has indicated that the average error is around £300. Some two million taxpayers who have overpaid will be able to claim money back. The errors have occurred despite the introduction of ‘Real Time Information’ (RTI), whereby wages are reported on a weekly or monthly basis. Previously overpayments and underpayments arose because wage and tax figures were only reported to HMRC at the end of the financial year. RTI, which cost £273m to implement, was intended to make HMRC’s records ‘more accurate’. However the total number of errors has increased from the 5.2 million errors the previous year. Many accountants feel that this demonstrates that RTI is not working as promised. HMRC said the increase in corrections was largely down to an increase in the number of people in employment that has come with the recovering economy. A spokesman said that the effects of RTI had not been reflected yet and it would eventually lead to a reduction in the number of corrections. They also added that some adjustments would always be a feature of the tax system. Those due a rebate can claim a cheque from HMRC, while those who underpaid can repay through PAYE next year. Concerned that you have paid the wrong amount of tax? Contact Foremans on 01244 625 500 for free initial advice. 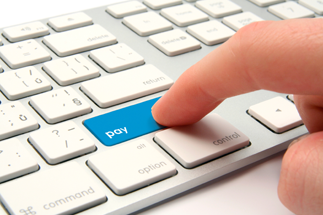 We can also offer a full PAYE review service.